The Thermapen collection of Smart Thermometers ranges from the DOT & ChefAlarm oven & cooking thermometers up to the Bluetooth enabled ThermaQ Blue. All have been designed to ensure that you get the best cooked food possible, whatever your budget. Smart thermometers use probes to measure the temperature both inside and outside whatever it is that you’re cooking. 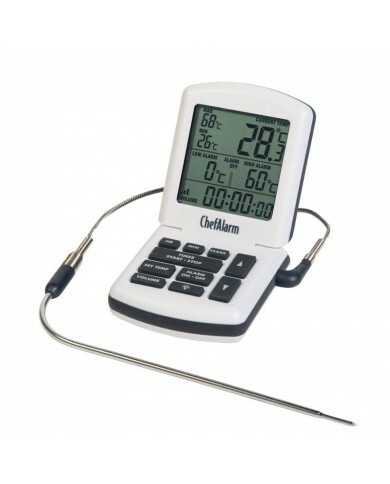 Dual probe Smart thermometers enable you to either monitor two separate food items (handy if you’re grilling a steaks), or to measure both the core temperature of the food, and the ambient temperature. 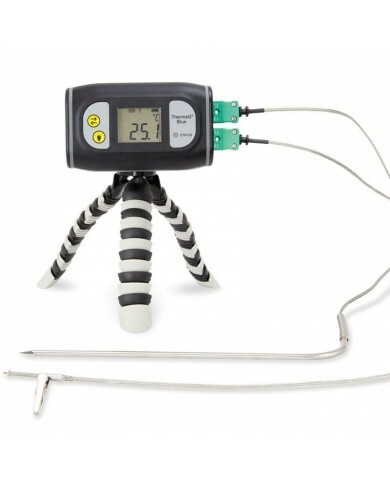 Each probe connects to the thermometer using a dedicated port, some smart thermometers include probes, and for the more professional models it is usual to buy these separately. One of the best things about smart thermometers is that they take some of the guesswork out of cooking. Our ThermaQ WiFI or Bluetooth versions allow you to download and install the ThermaQ app for your smartphone or tablet. £168.00 inc VAT In production! 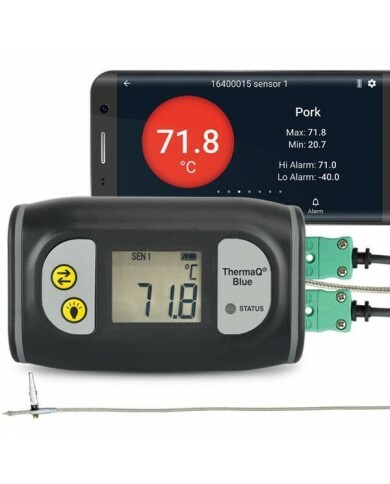 The ETI ThermaQ wireless temperature monitoring app is an invaluable tool in allowing you to monitor multiple temperatures simultaneously in cooking, sous vide and barbecue (BBQ) processes, turning your smartphone or tablet into a remote temperature measurement data hub. 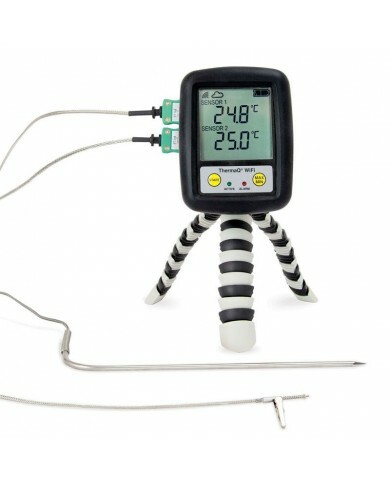 Our smart thermometers include optional grill or pan clip probe options to ensure that the probes stay in the right position when you’re cooking, so you can securely attach it to the outside of your oven, cooker or barbecue. All of our Smart thermometers also include separate displays – enabling you to keep tabs on your food without having to have your phone or tablet on you – handy if your phone or tablet is unavailable.